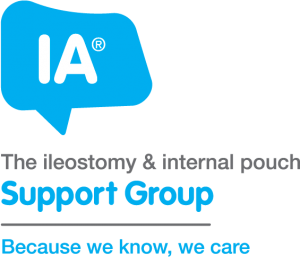 The Ileostomy and Internal Pouch Support Group (formerly known as the Ileostomy Association of Great Britain and Ireland), is a mutual support group which has the primary aim of helping people who have had their colon removed. It was started in 1956 by a group of people who had ileostomies themselves, together with some members of the medical profession. It was the first ostomy association in the United Kingdom and it is a registered national charity (no. 234472). For a full history of the association click here. Certain inflammatory bowel diseases, e.g. ulcerative colitis and Crohn’s disease, sometimes cause such considerable damage to a person’s large intestine (colon) that it becomes necessary for a surgeon to remove it entirely. 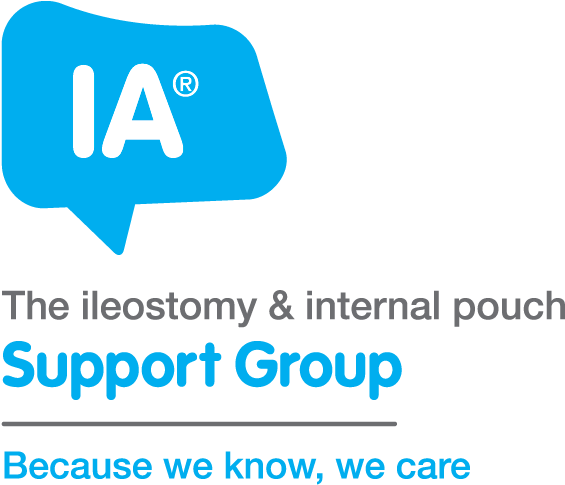 With a Brooke ileostomy, the lower end of the small intestine (ileum) is brought out through the abdominal wall, and the body’s waste matter is collected in an externally attached bag. Alternatively, a patient who has ulcerative colitis may be able to choose to have an internal pouch, which involves the construction of a reservoir from a section of the ileum, after removal of the affected colon. Someone who has a pouch does not need to wear an external ileostomy appliance (bag). People who have Crohn’s disease cannot usually have an internal pouch. It is estimated that there are more than 20,000 people in Great Britain and Ireland who have had to have their colon removed. This means that you might well have already met someone who has an ileostomy or internal pouch, and know that they are able to lead perfectly normal lives. Breakaway is the only UK wide charity offering support to children with bladder and/or bowel diversions/dysfunction and their families. Since 2006 Breakaway has helped around 300 families, taking them out of isolation and helping them to realise that they are not on their journey alone. In December 2013 the Breakaway Foundation was launched, this change in charitable status to a charitable incorporated organisation, has allowed us to expand the scope of our charitable aims. Breakaway is now able to support children from birth to 18, meaning that parents will no longer feel alone in those very difficult early years. In 2005, 30 nervous people attended the first ever Breakaway weekend, and since then we have gone on to welcome almost 1,500 people to our weekend activity breaks, watching them zip wire from a 40ft tower, canoeing on the river, bridge building, holding a critter, and much more! In 2013 we held our first Only Kids Allowed weekend, offering the chance for children aged 11 and above to spend a weekend away without mum and dad, helping them to gain their independence and learn to self care, often for the first time. Our new family information days are taking Breakaway to all corners of the UK. Linking up families in local areas, helping those who are isolated, lonely and frightened to meet others, and to forge new friendships that will be there at times of need. Crohn’s and Colitis UK is the working name for the National Association for Colitis and Crohn’s Disease (NACC). Founded in 1979, the charity has been providing information and support, funding research and fighting for change by bringing together people of all ages who have been diagnosed with IBD, their families and friends, and the professionals involved in their care. From the beginning our mission has been to listen, to inform and to be your voice. What is the role of the Colostomy UK? The primary role of the Colostomy UK is to represent the interests of people with a colostomy. We are experts in living with a colostomy and that experience is available to all colostomates, via personal contact with our volunteers. We are here to provide support, reassurance and practical information to anyone who has or is about to have a colostomy. We strive to raise awareness of what it’s like to have a stoma and what it means to live with a colostomy and by doing this, we hope to address the general lack of public knowledge. Our ultimate goal is to champion issues that affect colostomates, their families and their carers.